Find hotel near Base De Plein-air De La S .. 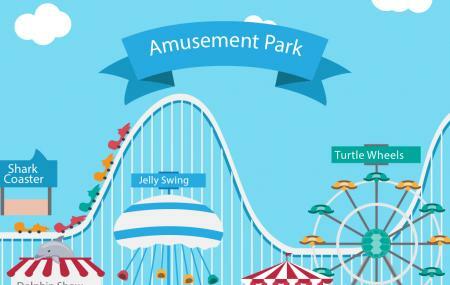 This amusement park is a great place to relax with family or enjoy your favorite sports. It has a nice field to play football which is totally free and in very good condition. You can even do workout with several devices available here. Many people from the city and tourists come here for picnicking. The park also serves as a venue for soccer matches. There are some clubs in the city that play here. If you have kids, they can be a part of them. Want to plan a DIY trip? Use Chevigny-saint-sauveur trip planner for the same. You won't miss your home when in Chevigny-saint-sauveur, hotels in Chevigny-saint-sauveur like Kyriad Dijon Est - Quetigny, Kyriad Dijon Est Mirande and Campanile Dijon Congres Clemenceau offer some of the best places to stay in the city. Chalk out the best way to discover the city with Chevigny-saint-sauveur vacation packages. Check out various modes for how to reach Chevigny-saint-sauveur. Love this? Explore the entire list of places to visit in Chevigny-saint-sauveur before you plan your trip. Fancy a good night's sleep after a tiring day? Check out where to stay in Chevigny-saint-sauveur and book an accommodation of your choice.